Tennessee Gov. Bill Haslam, Department of Economic and Community Development Commissioner Bob Rolfe and Hirotec America Inc. officials announced Dec. 17 that the automotive supplier will construct a new manufacturing facility in Fayetteville. Hirotec America, a member of the Japan-based Hirotec Group, will invest around $40 million and create more than 100 jobs in Lincoln County over the next three years. The company will build its plant in the Runway Centre Industrial Park, a Select Tennessee Certified Site. Construction will begin in the second quarter of 2019, and Hirotec America anticipates the plant will be operational in the third quarter of 2020. "Tennessee sits at the heart of the South's auto industry. And with the expertise of our workforce, there's no better place in the country to operate an automotive business than Tennessee," Haslam said. "I'd like to thank Hirotec America for investing in Fayetteville and bringing more than 100 high quality jobs to Tennessee." "Hirotec America joins a long and successful roster of automotive companies that call Tennessee home," Rolfe said. "More than 135,000 Tennesseans work in the auto sector, and they make it one of our state's strongest industries. Thank you to Hirotec America for the vote of confidence in the people of Lincoln County, Tennessee." 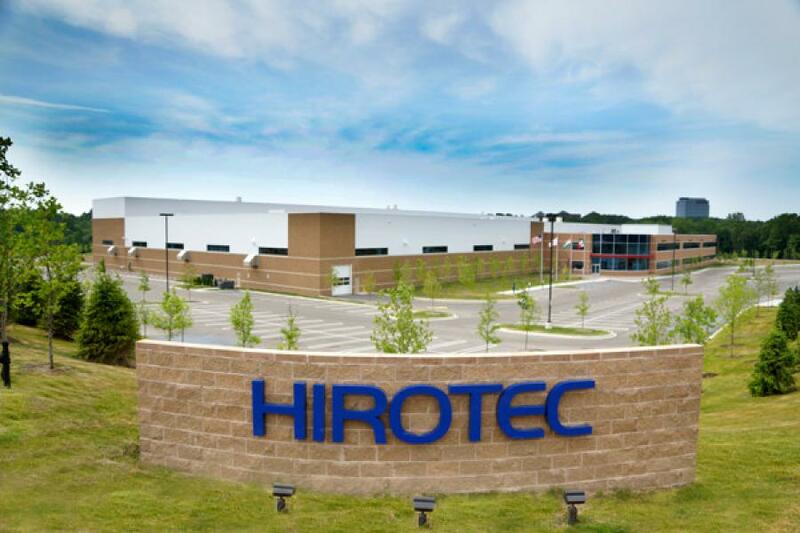 Hirotec America, established in 1988 with its headquarters in Auburn Hills, Mich., is an automotive Tier I supplier specializing in manufacturing tooling. The new location in Tennessee will add part production capacity in the United States. "We are very happy to be welcomed into Tennessee and to be joining the Fayetteville community," said Katsutoshi Uno, CEO, Hirotec America. "I appreciate the warm hospitality that we have received and am looking forward to working closely with the community. Hirotec values building lasting relationships and trust with our employees and partners which has made us into who we are." Local officials applauded Hirotec America for its investment in Fayetteville. "We are honored to welcome Hirotec America to our industrial family," Lincoln County Mayor Bill Newman said. "Hirotec America will be the anchor industry in the Runway Centre Industrial Park and a true asset to our community." "We would like to welcome Hirotec America to Lincoln County and thank the company for choosing our community for its new operations," Jack Marsh, chairman of the Fayetteville Lincoln County Industrial Development Board, said. "This will generate economic growth in Lincoln County and job opportunities for our local residents. We look forward to a long and prosperous relationship." "TVA and Fayetteville Public Utilities congratulate Hirotec America on its decision to locate operations in Fayetteville, Tennessee," said TVA Senior Vice President of Economic Development John Bradley. "Helping to facilitate new job creation in the Valley is fundamental to TVA's mission of service. We are proud to partner with the Fayetteville Lincoln County Industrial Board and Tennessee Department of Economic and Community Development to help further that mission and are excited to welcome the newest automotive supplier to the Valley." Launched in 2012, TNECD's Select Tennessee Certified Sites program helps communities prepare industrial sites for private investment and job creation. To date, businesses have committed to invest more than $1.6 billion and create nearly 6,900 jobs among 18 projects on Select Tennessee Certified Sites. Fayetteville and Lincoln County are represented by Sen. Shane Reeves (R – Murfreesboro) and Rep. Pat Marsh (R – Shelbyville) in the Tennessee General Assembly.